I can not believe we are celebrating another Baby’s First Christmas! It has been so much fun watching Michael grow and to see him learn new things. 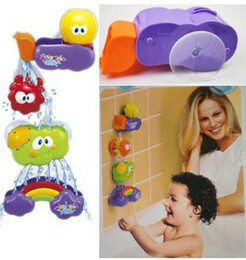 As he grows we wanted to offer him stimulating toys that we know will be fun and interactive. Yes, I literally spend hours on the floor every day playing with him and Shelby and both of them are in love with the Little Tikes Stand ‘N Dance Starfish. Little Tikes Lil’ Ocean Explorers Stand ‘N Dance Starfish tower inspires babies to create music and dance along. The light-up keyboard can be played by little hands when sitting or by little feet when standing and dancing. Babies will learn to pull themselves up by using the curvy tower, then chase after the balls they drop down the spiral. Sitting, standing, or dancing babies will play for hours! Mikey has mastered standing up now and he loves to drop the balls into the top to watch them roll down. This is a really fun toy for babies 6 months to 36 months. Yes my three year old loves it too! All the bight lights and fun music makes this a fun toy. You can purchase the LIttle Tikes Stand N Dance Starfish at Toys R Us and online! So Cute!!! This is a great toy. Oh that looks so fun! I love the Little Tikes toys that have the balls and music! Always a favorite here!